Too often, parents who are not getting along, consider divorce as their best option. "If this doesn't work out I'll just get out of this relationship, move on, and find someone better." Their sight is narrow and they are looking at their situation without seeing the years of struggle with an uncooperative, combative ex-spouse. Parents may say, "Anything is better than this." Don't kid yourself. It can get a much worse and the children have to suffer through being away from an important attachment figure and have to live through the pain of seeing their parents fight and struggle. The challenges over visitation rights, child support, being separated from siblings and the disappointment when their loving dad or mom does not show up for a promised outing are endless. The pain can be traumatic when one spouse disappears, abandoning the kids. These absent parents are trying to cope with their own pain and trying to start a new life for themselves. The pain of dealing with a hostile ex-spouse sometimes does not seem worth the struggle. A missing parent, especially a dad seems to be the most confusing and painful time with children. This is a great poem called Children Learn What They Live about good and bad parenting styles. Divorce seems to run ramped in our culture. But what will happen to the kids? Should they have an opinion on the pending divorce? Most are too young to have a voice in the matter, but I would like to speak up for those that can not speak up. If there is not gross neglect or abuse, most kids want to see their family and parents together. Most children I counsel are trying to deal with a decision that has already been made for them. The feelings of emptiness and abandonment are strong. It really is amazing how resilient children are but most of their scars are hard for parents to see because they are going through their own pain and confusion. When I was going through my own unwanted divorce, I felt so powerless to help myself and my kids because I was in so much turmoil and pain. At that time, I was given the imaginary picture that helped me to know what to do. Think about a family in a boat. All is not perfect but at least the parents and kids are all in the same boat and safe. 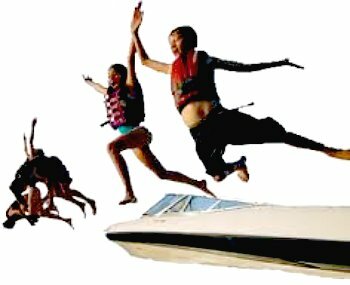 A divorce is like your family boat getting rammed by another boat and you and your kids are all knocked out of your boat and all are struggling to stay afloat. Over there, you see your younger kids crying. You are injured terribly, worse than you have ever been hurt before. You can't swim and are barely able to contain your own tears. But as you look up, you see your kids hurting just as much as you. They are splashing for survival in the water and you can't help them because of your massive injuries. What is a parent to do? What are you to do? The answer that came to me was to somehow get yourself back to the boat, get yourself healed first, find your own stability so that you can then throw a life saver to your kids. If you attempt to save them when you are sinking, you will only drag them down with you. Take care of yourself then take care of your kids. This can be a long process. They say that it takes half of the years you have been married to recover from a divorce. Get into a Divorce Care group and get some therapy. Try to figure out what went wrong and how you can avoid the trouble you had with your spouse. Learn about your anger and how to manage it. Learn how to communicate and learn how to listen. "Be quick to hear, slow to speak, and slow to anger." A better idea is to do those things before you break up. Don't wait for counseling as the last ditch effort. Too many spouses have already decided that they are not going to stay with their spouse before they seek counseling. They want to be able to say, "We even tried counseling!" Divorce is the last alternative. There are so many different strategies that can be implemented before that final act of dissolving your marriage. I personally believe that marriage is a precious gift that should never be thrown away like garbage. Many couples come to therapy and find that their relationship can be much better than it ever was, after getting their issues expressed and ironed out. People can learn new ways of relating and experience new levels of intimacy or openness that they never experienced before. Your kids are worth the effort, so are you! They say it takes a community to raise a child. Your community of friends and family will have to be split up and their loyalties will have to be divided between the two of you. Some friends may be strong enough to not take sides. But again, who is caught in the middle. Your kids! They can be swayed by outspoken people and parents. Usually, kids will come to the aid of the criticized parent. They love their mom and dad. Reassure your love for your kids and keep them out of the battle as much as you can. Eventually they will see the truth about each parent and the break up. Let me mention one more thing. I don't believe that kids were ever made to handle seeing their parents date other people. Their hope is in reconciliation of their parents, no matter how hopeless it may seem. Dating another mom or dad, can really sting and confuse an already hurting child.